Minecraft Addicts: Legos, a Pickaxe & More! Are your kids as into the online game Minecraft as much as mine is? 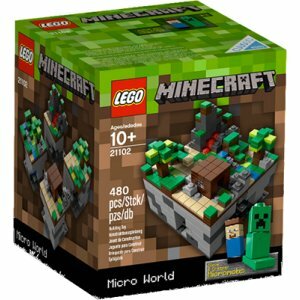 If so, check this out – they now have Minecraft toys! Also love that you can order the Foam Pickaxe and Foam Sword for just $19.99! Check out all the Minecraft toys listed on Amazon.com! stronger opponents. Get it here on Amazon. prepared to defend, and while defending being poised to strike. ability to improve his/her self-defense skills. and president of the World Jeet Kune Do Foundation and the World Kempo Association. Her appealing, glossy, square-shaped book fits easily between my palms. defend, and while defending being poised to strike.